Being a mother of 2 young children, my outlook on the world has changed drastically from my carefree years. Things that single people would take for face value and without a second thought are analyzed and reanalyzed by parents. We tend to think beyond ourselves, and we know that everything we do will have an impact on our kids’ learning and development. Everywhere we go nowadays, we cannot escape technology. The facts are: the Internet has changed the way we live, interact, socialize, shop and affects greatly how we spend our free time. Technology is everywhere. Smartphones and tablets are within reach to most adults and yes – even to children. So the magic question is, for young children like mine, how can we control and ensure that the technology toys we give will remain educational and safe? 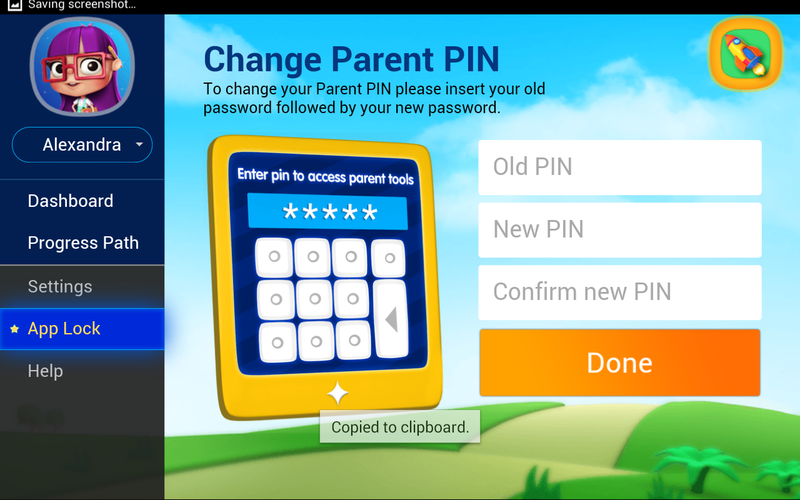 This may be the answer to what parents have been waiting for… the Samsung KidsTime application. Before I jump into more details about this new application (as well as my own experience in my next post! I was lucky enough to get my hands on it to test out with my little girl!!! ), let me share some important points from an official survey conducted in 2014 by theAsianparent.com Insights, where parents from Southeast Asia were contacted to give their inputs on mobile device usage among young kids. I’m very sure that if you are a parent, you will most likely be nodding in agreement on the concerns and results below. Let me share the results and I will also add my own commentary (tee-hee!). 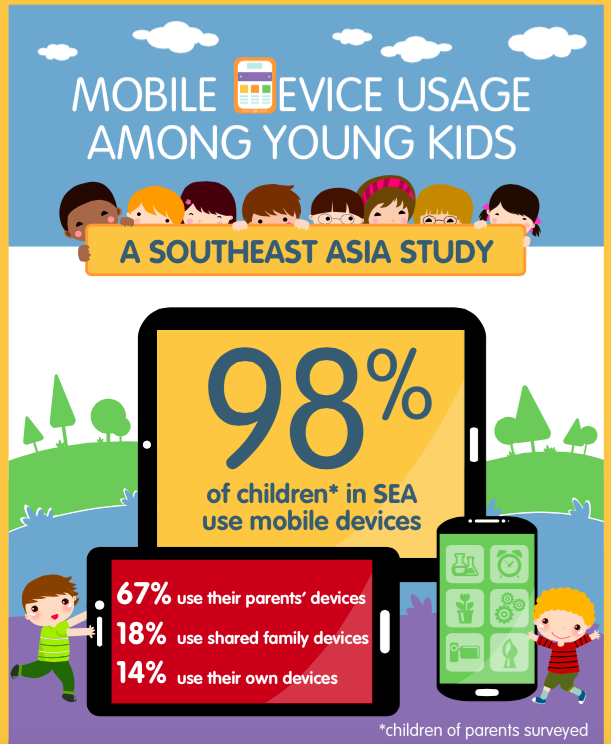 98% of Southeast Asia parents allow their children to use devices. Myself included. Guilty as charged. I know… it’s hard not to allow them to touch these things especially in modern times. Primary motivation behind allowing kids to use devices is to supplement their education. Same here! 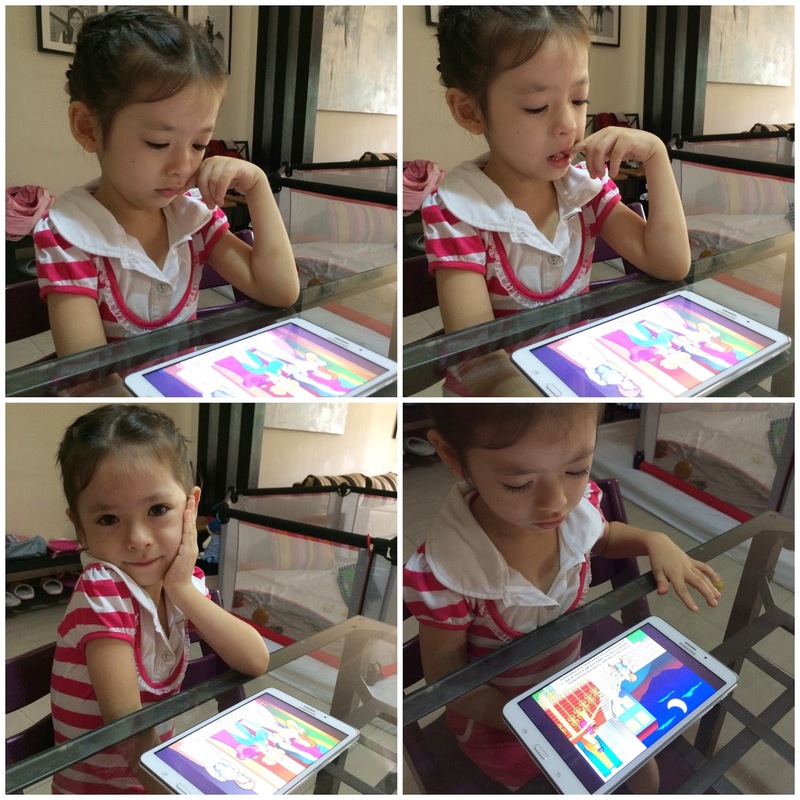 Was thrilled when I discovered that my little girl loved puzzles when she was 3 years old… and our tablet allowed me to discover that early on. Currently, my daughter is 5 years old, and enjoying her time learning more stories through the read-to-me books, interactive games and writing ABC’s in all formats. Parents would like to include control mechanisms to help monitor child device usage. I most definitely agree 100% on this one. How do you know what they did exactly? What progress? I would love to know! The most desired features that came up from the survey? 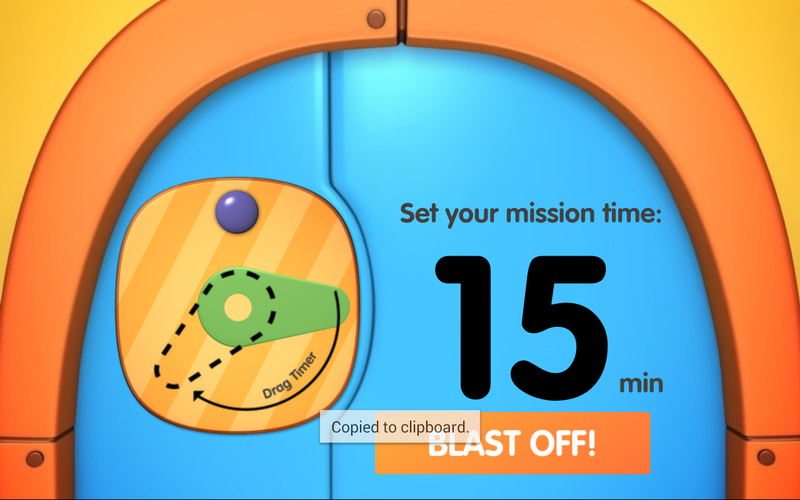 Parents want a time limit feature, prevention of in-app purchases and monitoring usage. Me, me, me! That’s all me… though I wasn’t part of the survey, I totally agree with all parents who answered this question. This will surely improve the way children (and parents) interact with technology. For a parent like myself, having a young child seeing me use technology everyday, it’s only natural that I let her learn a thing or two about it. We need to move with the times, albeit with caution, as they are still too young to understand and grasp everything. With that in mind, I was curious to find out what are the main concerns of other parents, when their young kids are into the technology craze? 1. It may be an unproductive use of time. Perhaps their mind is not actively engaged. Facing the screen doesn’t mean that they are learning something. 3. With the technology tools within reach, how can we make it into a positive thing instead – and use it to spend quality time together as parent with your child. There is no escape that we live in a modern world now. How can we make it work instead of shielding our children from it. Their concerns are aligned with my own, as well as the concerns of my friends who are parents like myself. This is the part where I feel that it doesn’t matter from which country we are from nor what background or nationality we are – parents will be parents. Their genuine love and concern reigns above all when it comes to nurturing and protecting their little ones… and we always want to give the best to them. Back to the tablet, I am eager to share my own observations of my new Samsung tablet (with its new KidsTime application) we have at home – though I will keep some of our “caught in action photos” for a blog post later on. It has a child progress report and dashboard. Something like school… you have a report card! Isn’t that cool!?! This way, you have an idea of what they do and how they are doing. As parents, we can become more involved with what our children’s interests and passions. Though I cannot be looking over her shoulder all the time to find out which one she is good at, the dashboard and report allows me to learn more about what she has been doing and what she loves. There is an Application Lock. No accidental escape to other things that you don’t want your child to discover. This way … it’s always safe, even if I left her alone for a few minutes while mommy goes to attend to her baby brother J They have a parent control measure such as entering the pin code to be able to proceed to do other things. Time's Up! 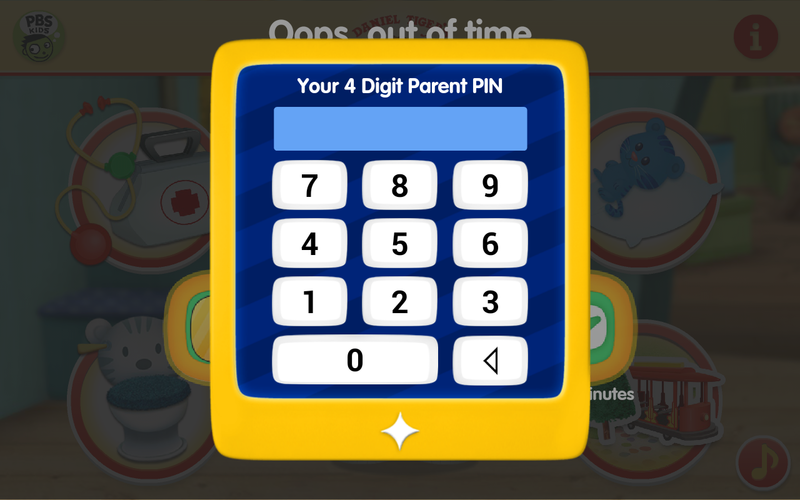 Can't abuse the system ... parents have to put their PIN code to be able to continue. Time limit! Time’s up! I can set the time of how long she can play. This was truly helpful in controlling time and teaching her the value of playing within limits. This cool timer is my favorite. My hubby loves it, too! It promotes discipline and the child understands what "limitation" means. Oops, out of time! The design was done with kids in mind. Love this feature! Technology is a wonderful thing, for both for adults and kids alike. It’s really up to us how we leverage on what we have today. 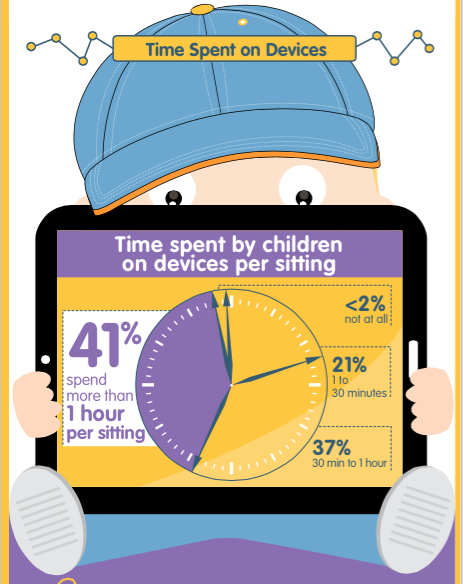 Tablets and smartphones can become useful tools to enjoy with our young kids. Screen time can become more meaningful given the right content. With Samsung KidsTime application, I feel this is something that can increase meaningful, ‘fun time’ with my daughter using technology. PS. 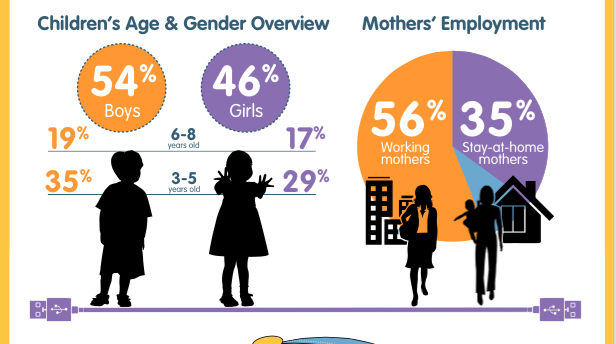 For parents who are very much interested in the survey results by theAsianparent.com Insights, I inserted their ‘infographic’ (information in graphic form) at the bottom part of this blog entry. 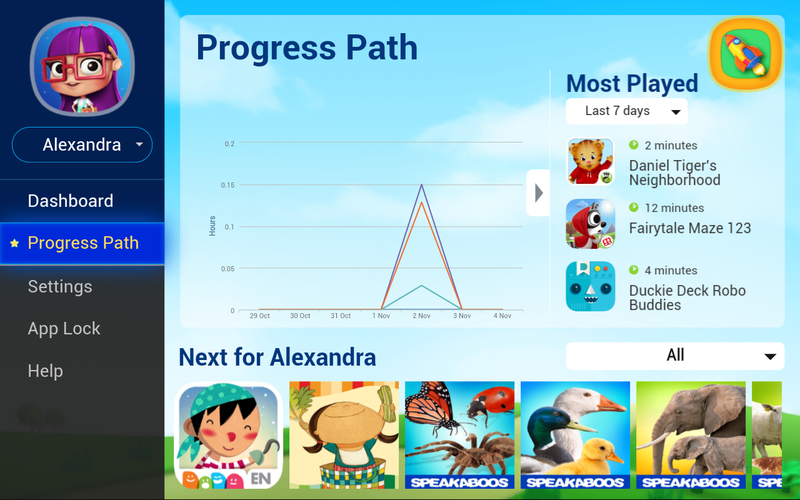 Want to hear more from other parents and what experience they have with the Samsung KidsTime application? Watch this! 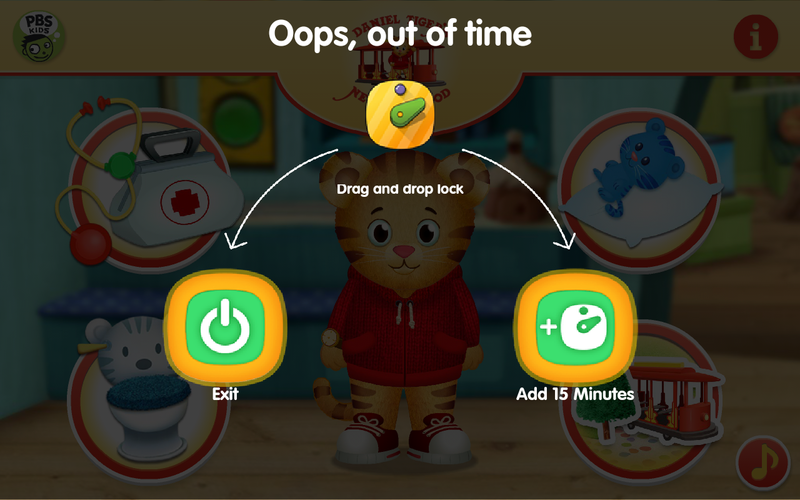 education apps for kids and where you can get it? Visit http://www.samsungkidstime.com or download the app now and enjoy a month-long free trial!